After plastic balls are manufactured, they are strictly checked in terms of various parameters and properties: Weight, diameter, roundness, surface roughness, jump and flight behavior, and so forth. In case that all these parameters exhibit perfect properties, the table tennis balls are marked with a symbol containing 3 stars. They are then licensed and permitted as official table tennis plastic balls for competitions and tournaments. In case that some of the above mentioned parameters are not completely uniform, and in case that there a small flaws, they are used as plastic training balls. Fortunately, these are now available (as they make sense! ), and may have one or two stars as an imprint, but they may also completely lack stars. Plastic TT training balls are cheaper than plastic balls for competitions, but they only slightly differ in terms of quality. Particularly in lower leagues, the differences are usually not noticeable. 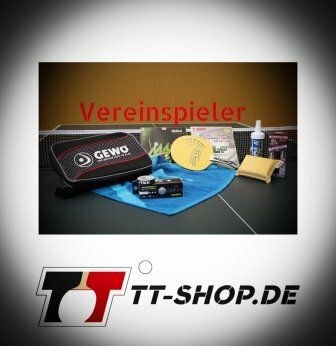 For this reason, plastic training balls are worth a recommendation for beginners who are doing non-specific- table-tennis training, training to acquire various techniques, or training to apply consolidated techniques. Table tennis plastic balls are also worth a recommendation for advanced players. For these reasons, we can summarize that buying training balls is worth is, and this should be taken into consideration. As already mentioned, this is also because regarding official competitions and tournaments, celluloid balls are not permitted anymore. Table tennis balls are either made of celluloid or another plastic, the latter usually called plastic ball. Check out our table below containing table tennis balls made of plastic. oth are plastics, thermoplastics to be exact. They consist of large macromolecules, which consist of various basic building blocks which are repeating themselves over and over again. The basis for such basic building blocks are carbon and hydrogen atoms. When applying heat, thermoplastics are softening and become more and more flexible. Eventually, they are completely melting and are then liquid. When subsequently cooling them down, they are solidifying again. These processes are infinitely repeatable. When applying too much heat, thermoplastics can go up in flames. This is particularly true for celluloid, so that celluloid balls are classified as dangerous goods. They must be produced and transported considering special (and more expensive) security measures. These are some reasons as to why the International Table Tennis Federation (ITTF) prohibited the use of celluloid table tennis balls for official competitions and tournaments. This happened in July 2014, and nowadays, only plastic table tennis balls are permitted for such cases. However, it still took quite some time until table tennis balls were made of plastic. Now the time has come, and one can work out spending less money. The following table shows all of the currently available plastic table tennis training balls. 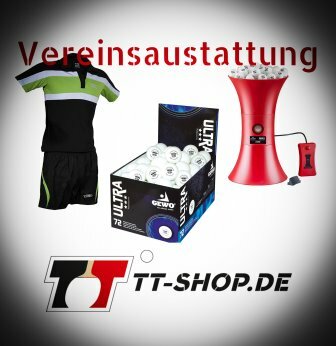 If you want to use plastic balls for official competitions and tournaments, check this category our at tt-shop.com. In general, table tennis balls are available at different quality levels. The lowest level are simple balls for recreational and hobby activities. These exhibit a slightly lower quality with respect to e.g. roundness, deformation resistance, or hardness. But still, such hobby balls definitely make sense (and are very popular!) for table tennis training purposes, regardless of whether using them for beginners, advanced players, or pros. This is also because only a few table tennis clubs can afford training sessions using 3 star balls for competitions. The next higher stage of TT balls are the balls exhibiting 1, 2, or 3 stars. Within this group, there are again quality differences. For training purposes, 1 and 2 star balls are used. Usually, table tennis training balls are delivered as large bulk packs. 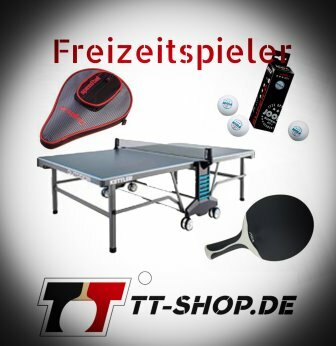 Since 1 and 2 star balls are not ITTF (International Table Tennis Federation)-approved, they are not permitted at official tournaments and competitions. However, these are cheaper, and because there are only small differences to the 3 star balls (=highest quality level), they are very popular for training purposes. Speaking of 3 stars. 3 star balls are the top, and imprinted with 3 stars. These balls are the only ones officially approved by the ITTF, hence, they are used for competitions and tournaments. In terms of various properties, such as flight or jump behavior, three star balls exhibit the highest and most uniform quality.